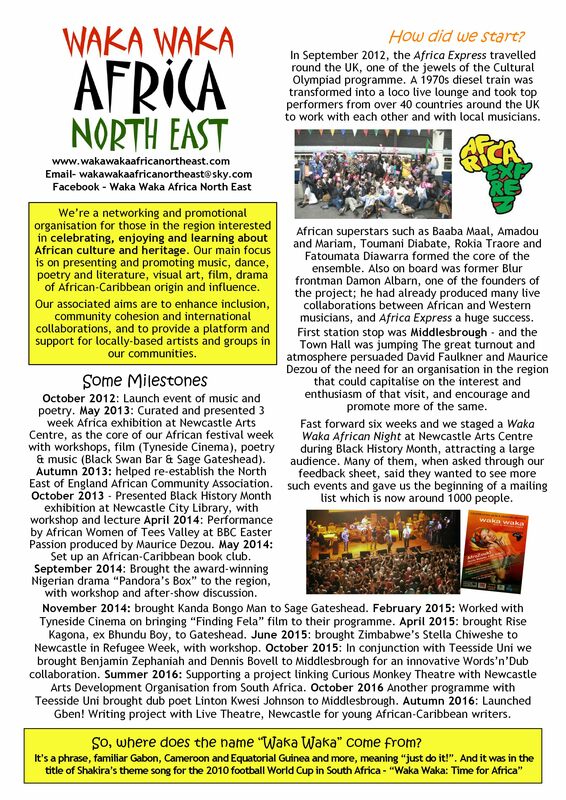 Waka Waka Africa North East is an organisation based in the north east of England that celebrates and promotes African and African-Caribbean music and culture. Contact us with details of local events, CVs of artists, and check out our What’s On section. Like our Facebook site and pass our links to as many people as you can. 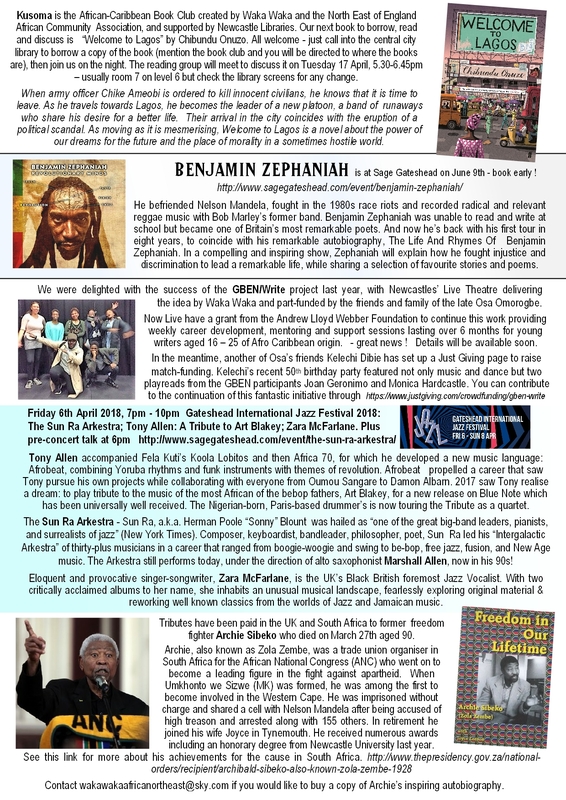 The influence of black African music is widespread. 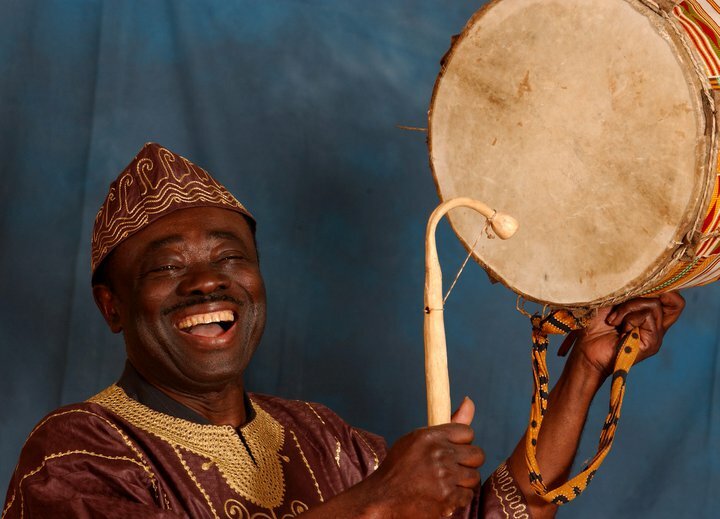 It came over to America with the African slaves and combined with the folk music of the European settlers to produce new styles of music such as blues, gospel and jazz. These went on to form the basis of popular music today. 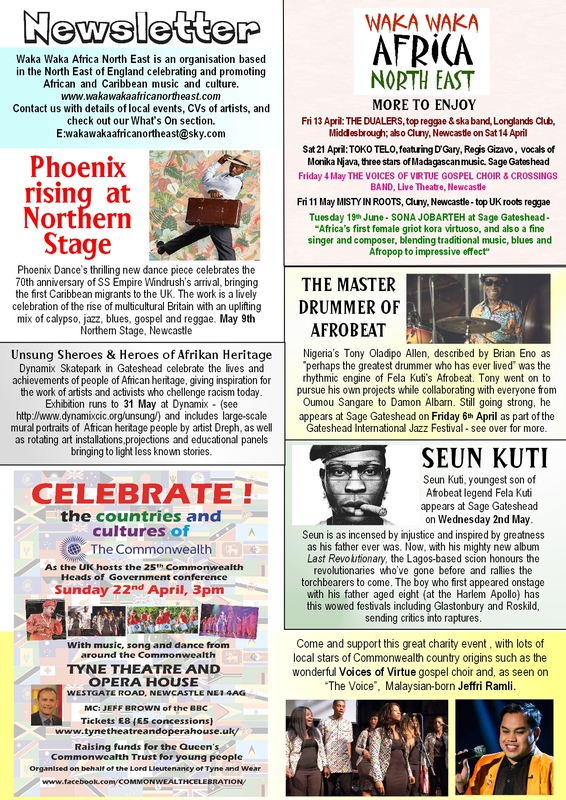 “Waka Waka” is a phrase used in several parts of Africa and translates most regularly as “Just do it!” That’s going to be our motto – to get on with organising events and activities, including our first African cultural festival for the North East, which we have delivered through music, poetry, film and visual arts in May 2013.